Jagram Wagner Gazebo: The Jagram Wagner Pavilion Gazebo is a spacious gazebo that provides plenty of covered space for outdoor entertaining, and can easily accommodate a large table and chairs. 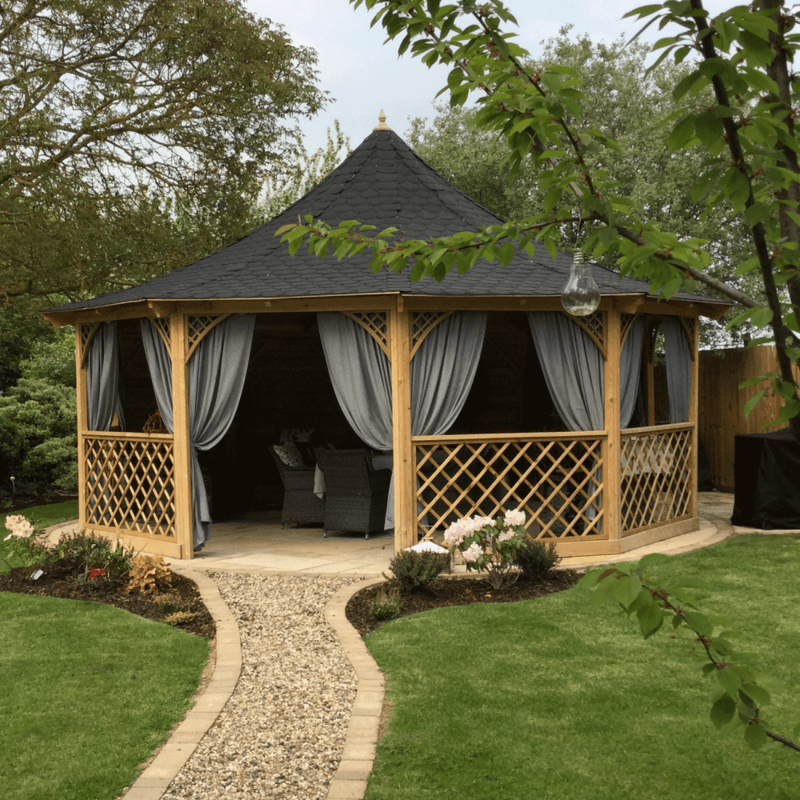 Expertly crafted from Northern European Spruce and pressure treated to preserve its timber materials, the wooden gazebo is attractively designed with half-height trellis panels and full back panels. Between its support pillars and the roof are trellis supports that create an arched appearance, and inside the gazebo boasts a delightful vaulted ceiling. With roof tiles available in either green or black felt shingle, the structure is topped with a pointed wooden finial. The wooden pavilion gazebo can accommodate a range of needs, and is available with a width of either 4.2m or 6m. A specially made wooden floor, treated to prevent rot, is also available and can be added as an option.